Looking for stunning sunsets and fantastic scenery? 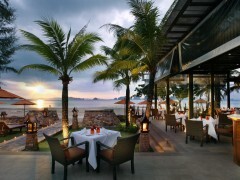 Look no further than Amari Vogue Krabi. Located in a secluded beachfront setting, overlooking the pristine Tub Kaek beach, Amari Vogue Krabi offers the perfect vantage point to sit back and enjoy the view whilst enjoying sun downer cocktails or a perfectly chilled glass of wine. 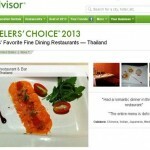 Trip Advisor recently released a list of 10 hotels offering the most stunning sunsets, as a result of reviews on the site commenting on this specific topic. 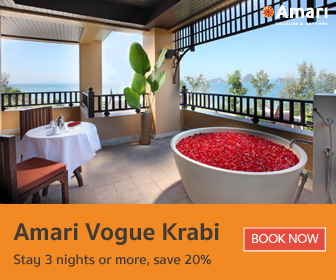 Amari Vogue Krabi is included in the line-up, which spans the globe, from the Caribbean to the USA, Indian Ocean and Thailand.